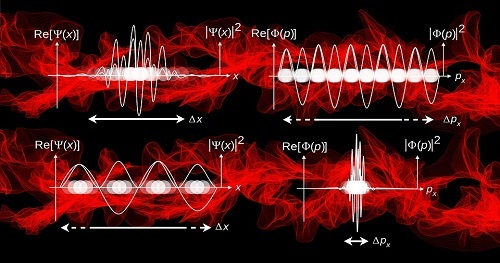 Quantum Mechanics: the branch of mechanics that deals with the mathematical description of the motion and interaction of subatomic particles, incorporating the concepts of quantization of energy, wave-particle duality, the uncertainty principle, and the correspondence principle. Based on the quantum theory used for interpreting the behaviour of elementary particles and atoms, which do not obey Newtonian mechanics. There are currently no items matching "Quantum Mechanics".